Eminent Bengali poet Nirendranath Chakraborty died at a private hospital in Kolkata on Tuesday following a cardiac arrest, his family said. He was 94. The Sahitya Academy Award-winning writer is survived by his two daughters. His wife passed away in January this year. “My father had a cardiac arrest but his face showed no sign of distress. He used to say that he had lived a full life and enjoyed every bit of his stay,” his daughter Siuli Sarkar told the media. The family said Chakraborty was admitted to the hospital on December 9 due to age-related ailments including acute breathing problem. He suffered the cardiac arrest on Monday midnight and passed away around 12.25 pm on Tuesday, they said. Born on October 19, 1924 at Faridpur in undivided Bengal, Nirendranath Chakraborty went on to become a dominant figure in the field of modern Bengali literature, remaining active in literary pursuits till his health gave away. In fact, he penned a poem for a magazine as recently as in November, and it will be published in its upcoming issue that will be released at the Kolkata Book Fair starting on 30 January. Chakraborty was 30 when his first book of poems, ‘Nil Nirjone’, was published in 1954. He won the Sahitya Akademi award in 1974 for his poem ‘Ulanga Raja’ (naked king), which mocked the social set-up. Among his most popular poems are the timeless ‘Amalkanti Roddur Hote Cheyechhilo’ (Amalkanti wanted to be the sunshine), ‘Kolkatar Jishu’ (Christ of Kolkata) and ‘Pahari Bichhe’ (Mountain scorpion). Chakraborty had been associated with leading Bangla magazine Desh and edited children’s magazine Anandamela for many years. He would translate Tintin and Phantom in Bangla to take the popular comic strips to Bengali children who were not comfortable with English. 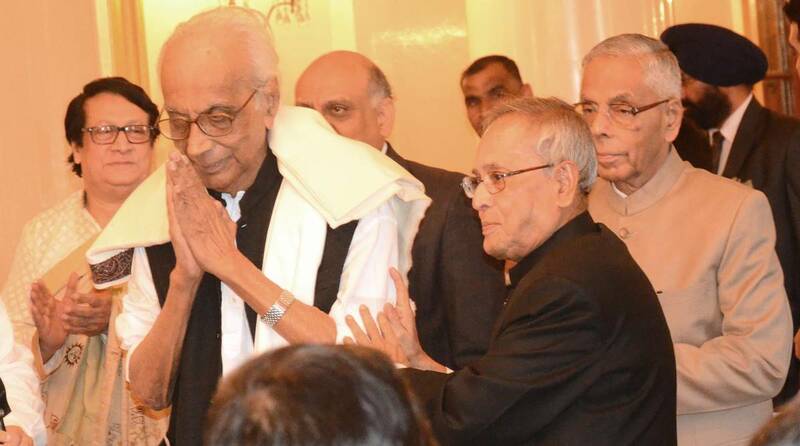 Having written more than 47 books, many of them for children, apart from 12 novels and numerous essays on different issues, he was also a recipient of ‘Ananda Purashkar’ and was the president of Paschimbango Bangla Akademi. “… We had conferred on him the Bangobibhusan honour in 2017. My condolences to his family,” she added in her tweet. Education Minister Partha Chatterjee, poets Subodh Sarkar and Sankha Ghosh, and writers Sirshendu Mukhopadhyay and Nabanita Dev Sen, among others, also paid respects to the veteran poet. Chakraborty’s mortal remains were kept at Rabindra Sadan in Kolkata, the city’s cultural centre, to let people pay their tributes. At the time of writing, the body was to be taken to his Bangur Avenue residence briefly before cremation at Nimtala Burning Ghat with a gun salute.